Grafton is choc full of heritage buildings, and they need lots of attention. 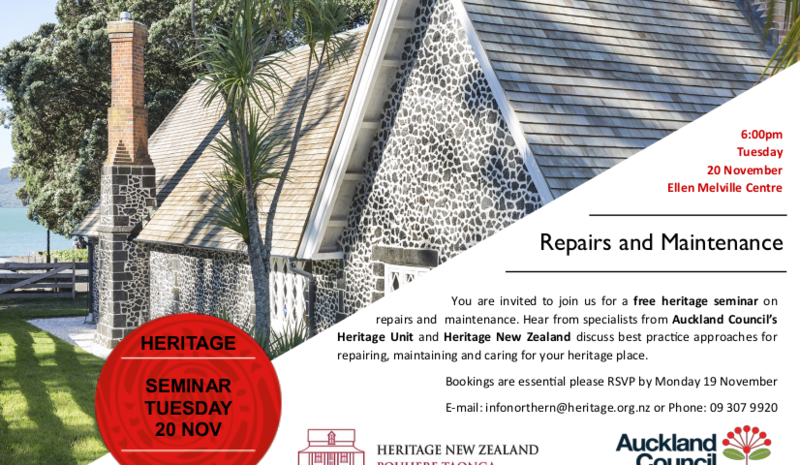 Heritage New Zealand is hosting a repairs and maintenance seminar on Tues, 20 November at 6pm. Bookings are essential, so do RSVP. You can download the invite image as a pdf here.